The 'Heart Land' piece has more meaning in the name than you might expect: an extremely creative adaptation of a landscape scene, captured within the abstract boundaries of a huge, colorful heart. 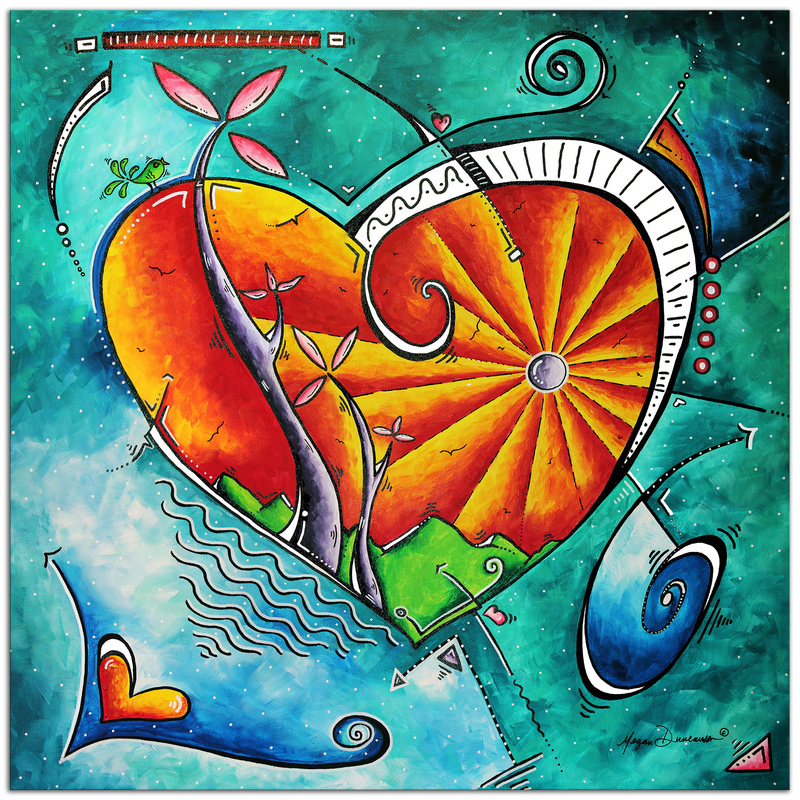 This cubism style painting is reminiscent of the work of the great Pablo Picasso, with the added twist of love and joy that Megan Duncanson effortlessly exudes through her personality and her artwork. The bold, vibrant colors, artistic satin/matte finish and durable metal medium work beautifully in a living space, office, home, restaurant, hospitality, or restaurant display. 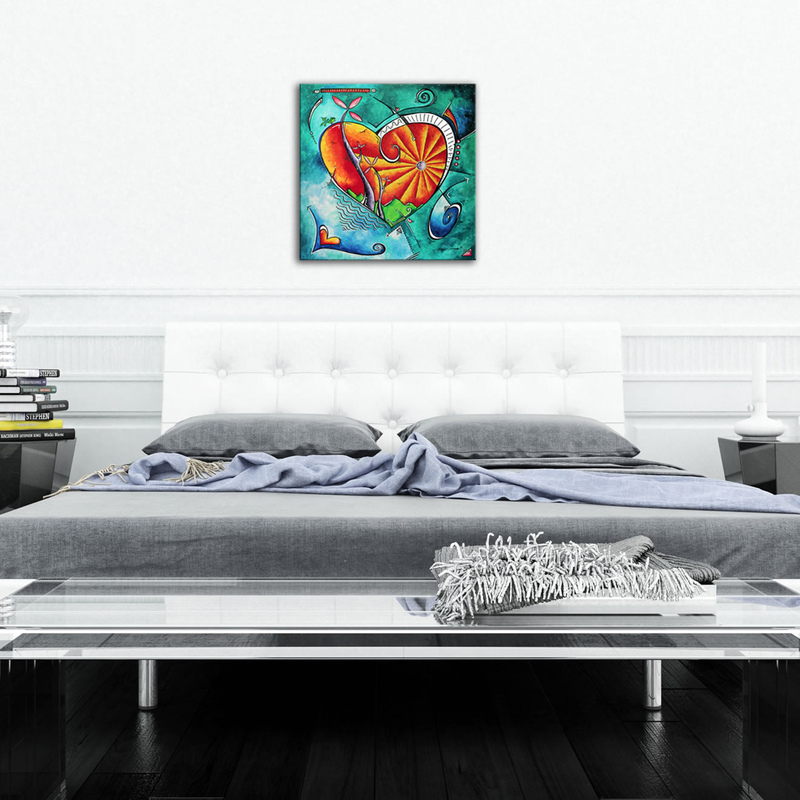 This colorful masterpiece will jump off your wall to catch the eye and be an instant conversation piece. Megan Duncanson is one of our newest artists to join the Modern Crowd family, with a collection of designs exclusive to our line of fine metal gicl��_��__��_��___��_��__��_��____��_��__��_��___��_��__��_��_____��_��__��_��___��_��__��_��____��_��__��_��___��_��__��_��______��_��__��_��___��_��__��_��____��_��__��_��___��_��__��_��_____��_��__��_��___��_��__��_��____��_��__��_��___��_��__��_��_______��_��__��_��___��_��__��_��____��_��__��_��___��_��__��_��_____��_��__��_��___��_��__��_��____��_��__��_��___��_��__��_��______��_��__��_��___��_��__��_��____��_��__��_��___��_��__��_��_____��_��__��_��___��_��__��_��____��_��__��_��___��_��__��_��________es.